Find the best car rental deals using our form! 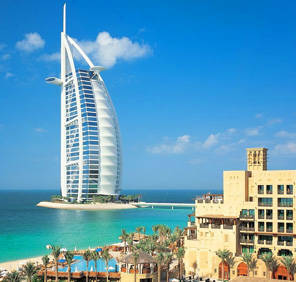 Experience the fascinating life of this great city with car rental Dubai! Adding brief car hire query to the search form you’ll get the most affordable car rental opportunities! We compare all existing car rental companies with their prices and then you’ll see the cheapest and the smartest rental cars. 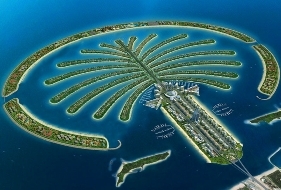 Choose a Dubai car rental location, check the Car Rental Dubai - Must Know and Places to Visit in Dubai! Dubai, the most liberal and cosmopolitan Emirate, pleases its guests not only with consistently bright sunshine, clear waters and incredible architecture, but also provides a good rest. Nightlife there is rich and diverse. Equally important is the role of the emirate as a venue for international conferences and exhibitions. The valuable benefit of Dubai is existence of lower trade tariffs, allowing guests to do pleasant and easy for shopping in many shopping centers of the emirate. The roads have excellent surface and lots of road junctions. Along the roads there are useful billboards. The blue and green ones are indicating streets and districts; the brown – will direct you to landmarks, all sorts of attractions and hospitals. To help you navigate the roads are numbered. Four electronic toll gates called “Salik” are installed in different parts of the city. You must have a special sticker on the windshield confirming that you have a credit for travel. The system automatically reads 4 dirhams from the account each time the driver passes through the gate. Dubai Musical Fountain – is a real miracle. With our car rental you’ll find it fast near Burj Khalifa. Altitude of the fountain jets is 150 meters which is about the 50th floor. Fountain looks particularly impressive at night: it is illuminated by 50 color projectors and 6,000 lights. Vertical beam of light is visible at a distance of 30 km! Due to the special mechanisms fountain jets perform different "dances" depending on the music. 83,000 liters of water fly into the air - an impressive sight! The show begins at 18.00, but it is better to come later when it finally gets dark. It‘s best viewed from the top, from about the third floor of the shopping center "Dubai Mall". Using your car rental opportunities you can easily get to Al Mazar peninsula. There Al Mamzar Park occupies an area of ​​99 hectares. There are lots of beaches that are literally everywhere! On the left are the beaches overlooking the Persian Gulf, to the right - the beach overlooking strait between Dubai and Sharjah. Near the beach #5 there’s a barbecue with grills and tables. If you are tired of sea you can go swimming in the pool with fresh water. In the center of the park there are pop playground, video arcade, restaurants and cafes. And if you want to see the entire fleets at once go to the 8-meter tower offering spectacular views. This is a luxury 2-kilometer beach that stretches along the seafront Jumeirah Beach Walk. Jumeirah Beach Residence is one of the most prestigious areas located in the city center. Leave our car rental vehicle and rent a surfboard, kayak or catamaran. For more excitement take a ski boat, go water skiing and parasailing. This area is of high value because it is almost on the beach line, near the sea, and the inhabitants of the Jumeirah Beach Residence can enjoy the coast from the balconies of their apartments. Aquaventure Water Park is located on the trunk of The Palm Jumeirah near the hotel Atlantis. Start with rafting 2 km long and end visiting the 30-meter Ziggurat tower which has 3 levels with a variety of slides and tunnels. Ride the 600-meter river with cascades overcoming waterfalls and rapids, swim with dolphins and even take diving lessons. Kids will be interested in play area. To have a quiet rest go to the private beach: 700 meters of clean sand and limited access only for clients of the park. You’ll get to the park in 3-5 minutes drive by your car rental vehicle from Atlantis hotel. Tickets cost 50-100 dollars but it is an adequate price for such a miracle! The highest observation deck is located on the 124 floor of Burj Khalifa. Its name is «On the top." Buy tickets in advance to get there. If you are lucky you’ll get the tickets in one day but usually the tickets have been sold out for the recent few days. The cost is 100 dirhams ($ 27.25). With express purchase on the site you will immediately get the tickets though the price will be 400 dirhams ($ 109). The observation platform has electronic telescopes. You can also watch the video panorama, day and night views, and there is a record of old Dubai. A view from a height of 505 meters is spectacular - the whole city at a glance. 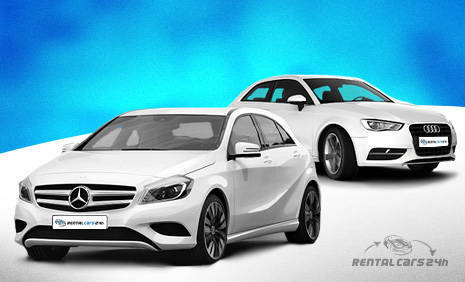 RentalCars24h.com offers you reliable car rental Dubai services that will help you to feel free and independent when moving around the town. Providing best online prices for car hire Dubai services, RentalCars24h.com allows you to save money each time when you rent a car in Dubai.